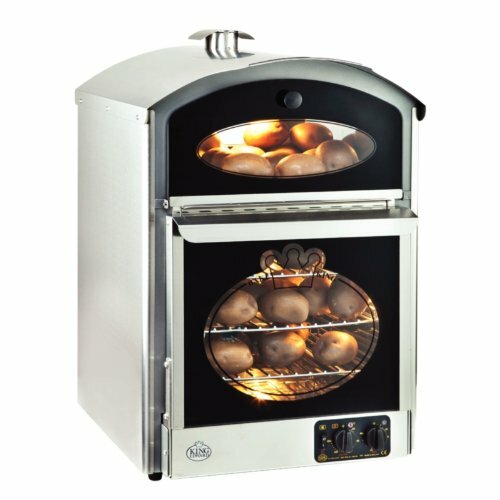 The high capacity, fan assisted King Edward Bake-King Potato Oven Stainless Steel features a highly attractive transparent door, perfectly displaying your tasty products to your customers. This oven can be used as a counter-top or back-bar piece and comes as standard with a variety of features, including a glass menu display, easy clean interior and illuminated oven and storage area. It has an excellent cost to capacity ratio and is also suitable for cooking other foods, such as croissants, rolls and pasties.